Busy reading for review and even a bit for optional review. I always manage to squeeze in a little of both. That's what they call "life balance." Others may insist this is actually keeping your house clean, exercising, running errands and reading. But I'm not others. Work and pleasure; pleasure and work. And the occasional meal and bit of sleep. "The Great Recession has shuffled Clay Jannon out of his life as a San Francisco Web-design drone—and serendipity, sheer curiosity, and the ability to climb a ladder like a monkey has landed him a new gig working the night shift at Mr. Penumbra’s 24-Hour Bookstore. But after just a few days on the job, Clay begins to realize that this store is even more curious than the name suggests. There are only a few customers, but they come in repeatedly and never seem to actually buy anything, instead “checking out” impossibly obscure volumes from strange corners of the store, all according to some elaborate, long-standing arrangement with the gnomic Mr. Penumbra. The store must be a front for something larger, Clay concludes, and soon he’s embarked on a complex analysis of the customers’ behavior and roped his friends into helping to figure out just what’s going on. But once they bring their findings to Mr. Penumbra, it turns out the secrets extend far outside the walls of the bookstore." I'm afraid you'll have to hang out 'til sometime in Septemberish for more, as well as an interview with author Robin Sloan . Me? Reading Sebastian Barry? I know, how unusual. I've just heard such great things about him. Partly here on my blog but he seems to have caught on quite well in other places, too. I've been in contact with Mr. Barry again and also reading every bit of interview material I can lay hands on; what I've learned about the man could almost write his autobiography. I'm not sure what he hasn't been asked, ad nauseum, which makes the fact I may have landed an interview with the great man (yes!) an incredibly intimidating experience – though, of course, that's not the only reason it ties my stomach in knots. As an interviewer, you want to inform your readers about some of the basics but as an interviewer who's read what others have asked, I want to delve into uncharted waters, digging out questions that surprise him. In this case it's so terribly difficult, since so many have gotten there before me. So, if I do get the chance to query Mr. Barry don't expect the same old stuff. For that you can check out the dozens of previous interrogaters. 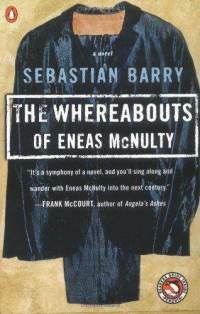 As for the actual book I'm currently reading, The Whereabouts of Eneas McNulty, like the rest of his novels, is based on family history and the period of The Troubles in Ireland. Eneas, after having serve in World War I, joins "the British-led police force, the Royal Irish Constabulatory." That doesn't sound exceptional until you think about the time period. The Irish uprising is ripping the country apart in a brother-against-brother virtual civil war with England and amongst themselves. The Irish for the Republic have turned into a mafia. Anyone perceived as having helped support the English, no matter how inadvertantly, is – with few exceptions - slaughtered, cut down wherever they're found. And if a man tries to leave Ireland he's followed, to the ends of the earth, and executed, "justice" exacted for the love of country. 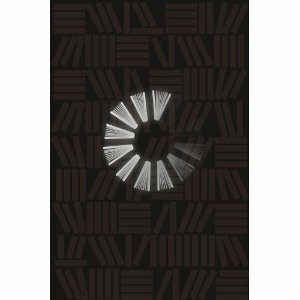 Eneas himself falls into the trap, having been witness to things beyond his control. Simply by being where he was and also refusing to participate in more violence, he's forced to flee, leaving behind his family and his beloved, Vivienne. Not that he doesn't fight for his right to stay. He's defiant and bold, leaving it 'ti lthe last minute before he sees there is really no recourse but to submit. "He sees the little bathing places of south Dublin, Sandycove, the Baths, the Forty Foot, places he barely knows, maybe visited the once in the old days when his mother would bring him to the capital… But his chest heaves with love, with peace, with pure need. It's the tobacco, the opium, of returning home. There might be angels standing on the rocky shores throwing out one after another bright ropes with grappling hooks to dig into and find purchase on his heart. One after another the arms rise like fishermen in the ancient like fishermen in the ancient days. Shortly he goes down riveted by his love, with the bolts of this love fastened into his skin…"
Be on the lookout for short review/author interview coming soon. Yes, my country takes a few slams but it's also clear there are a few compliments behind some of the blather. Amis amuses me no end; I can take the digs. In fact, I've made a few myself. If you read this, keep in mind he's married to an American and now lives in this country. This must be one of the biggest books of the summer. I'm around 1/3 of the way in and finding the blurbs are overblown. I'm not sure what it is about some books, why writers and reviewers rally around them when they're nothing special, then ignore little gems that pass right under the radar. I'm so frustrated; it's so unjust. "Mary Anne Schwalbe is waiting for her chemotherapy treatments when Will casually asks her what she’s reading. The conversation they have grows into tradition: soon they are reading the same books so they can have something to talk about in the hospital waiting room. The ones they choose range from classic to popular, from fantastic to spiritual, and we hear their passion for reading and their love for each other in their intimate and searching discussions. A profoundly moving testament to the power of love between a child and parent, and the power of reading in our lives." I'm in the midst of trying to connect with Will Schwalbe, to interview him but the book won't be published 'til October so that won't run for a couple of months or so. In addition, still re-reading Pride and Prejudice – as my Guardian Top 1,000 Novels List read – as well as plugging away, slowly, at Ulysses. But this weekend won't see much reading getting done; my brother and his wife are coming a-visiting, which also means I need to get off this computer and "balance" my life by cleaning the place.